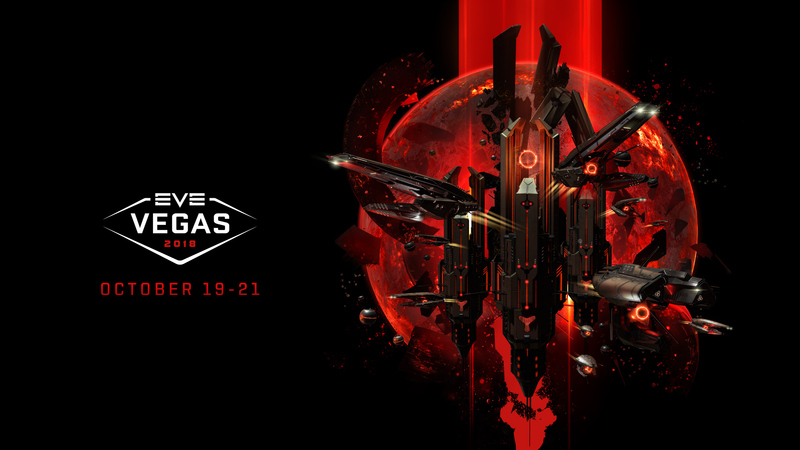 19 October 2018 – Reykjavik, Iceland – In the upcoming update for EVE Online - CCP's in-depth and uniquely player-driven spaceship MMO game - players will be able to team up and delve into the dangerous and isolated areas of New Eden known as Abyssal Deadspace in new and exciting ways. In addition, players will be given access to new ships, a new navigation structures and the introduction of the Activity Tracker. As revealed at EVE Vegas 2018, the newly expanded version of Abyssal Deadspace now allows for cooperative gameplay, with players able to bring two other pilots into the fray. Choose from any combination of three frigates to fight new NPCs, scavenge materials and earn valuable rewards together. Difficulty tiers have been adjusted to accommodate the increase in players, making use of all available NPC factions found within the Abyss. As ever, make sure to avoid venturing away from stable pockets of space for too long… or risk being destroyed. As part of the current Abyssal Deadspace experience, pilots who make it to the end of their encounter now have the option to fight against others who have achieved likewise. This 1v1 PvP encounter is the first of its kind for the Abyss. For both cooperative and solo experiences, three new Triglavian ships can also be encountered – the Triglavian Destroyer, Battlecruiser and Cruiser. EVE Online also receives two additional enhancements. First, the Upwell Navigation Structures, will allow ships to travel between two points in space that are less than five light years apart. Second, a brand-new Activity Tracker will help players navigate through the various activities available and showcase the various diversification and specialization options open to them. For more information about Abyssal Deadspace 2.0, the Activity Tracker and other updates, visit EVE Updates. EVE Online (PC/Mac) is a compelling, community-driven spaceship MMO game where players can build and pilot a wide variety of starships, traversing vast solar systems for free and choosing their own path from countless options, experiencing space exploration, immense PvP and PvE battles, mining, industry and a sophisticated player economy in an ever-expanding sandbox. EVE is a captivating game in which hundreds of thousands of players compete for riches, power, glory and adventure, forging their own destinies in a single thriving universe. CCP is a leading game developer who has been praised for its artistry, game design and unique player-driven, infinitely scalable storytelling narratives. CCP is the creator of the critically acclaimed space MMO EVE Online (PC/Mac), EVE: Valkyrie, a competitive multiplayer first-person spaceship shooter for PCs and PlayStation®4, Sparc™, an original virtual sport for PCs and PlayStation®VR where players’ VR hardware serves as their sports equipment, and the Gunjack™ series, VR arcade-action games for PCs, PlayStation®VR, Google Daydream and the Samsung Gear VR mobile platform. Founded in Reykjavik, Iceland in 1997, with additional offices in London and Shanghai, CCP is an independent subsidiary of Pearl Abyss, the creators of Black Desert Online. For more information, visit www.ccpgames.com.